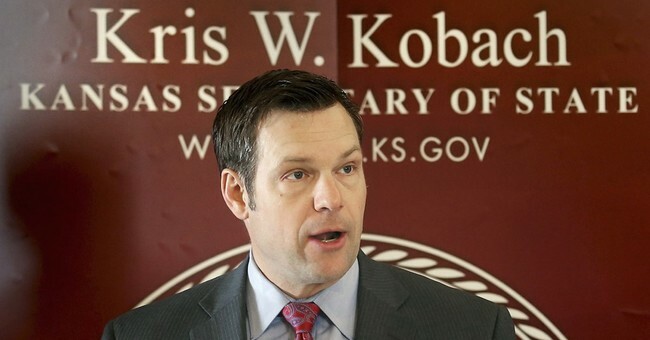 According to Kansas Secretary of State (and top Trump ally) Kris Kobach, immigration advisors to the president-elect are weighing the options of a registry of immigrants from Muslim-majority countries and countries with a significant terrorist presence. Kobach, an architect of immigration reform in Arizona and other places, says such a route is possible via executive orders to “hit the ground running” with the Department of Homeland Security to curb immigration from potential terrorists. While sounding extreme, a similar procedure was conducted already by the American government following the 9/11 terrorists attacks. A registry of “high-risk” immigrants was kept until it was dissolved under the Obama administration in 2011 over concerns of anti-Muslim bias. Trump’s stance has wavered somewhat during the campaign. He made headlines when he called for a complete ban of Muslim immigrants. He later softened by suggesting the government only disallow immigrants from countries with a high degree of terror. Now the talk of a registry of individuals from high-risk countries would be, more-or-less, another softening approach to immigration reform. To be fair, this option is still leaps and bounds more comprehensive than Obama’s strategy for preventing terrorism based on political correctness. The idea of a “registry” is still alarming to many liberal critics. In fact, the DNC has already pounced on Kobach’s revelations with a statement. “Donald Trump’s proposed ‘Muslim registry’ is nothing less than institutionalized discrimination and a brazen assault on freedom of religion,” Democratic National Committee spokesman Mark Paustenbach said in a statement. The Trump campaign has not yet commented on Kobach’s remarks.